Colombian foreign ministry reveals the country recognized “Palestine” as a sovereign state in the days before its new president took office. 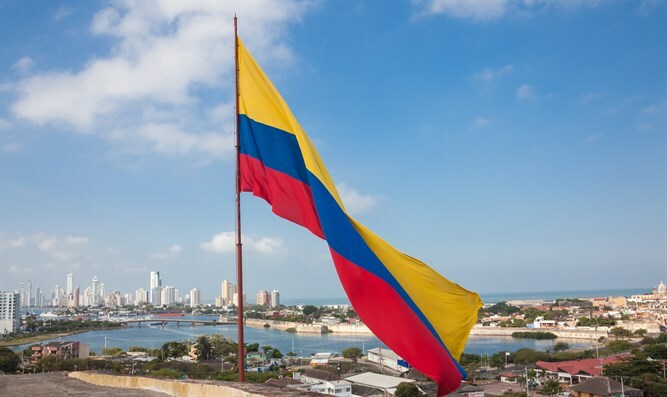 Colombia recognized “Palestine” as a sovereign state in the days before new President Ivan Duque took office, AFP reported on Wednesday, citing a letter from the foreign ministry. “I would like to inform you that in the name of the government of Colombia, President Juan Manuel Santos has decided to recognize Palestine as a free, independent and sovereign state,” said the letter, which is dated August 3. Prime Minister Binyamin Netanyahu last week cancelled a scheduled trip to Colombia due to the recent escalation in the south. Regional Cooperation Minister Tzachi Hanegbi made the visit in Netanyahu’s place. Netanyahu visited Bogota last September where he met with Santos.